One of the boreholes at Hellisheiði Geothermal Plants. 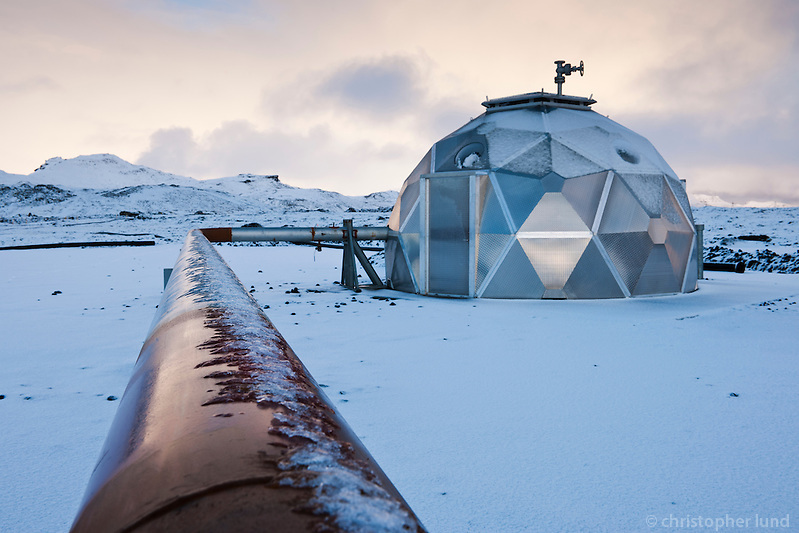 The plant is situated at Hengill, an active volcanic ridge in SW Iceland. The plant’s purpose is to meet increasing demand for electricity and hot water for space heating in the industrial and domestic sectors. Estimated production capacity for the completed Hellisheiði Plant is 300 MW electricity and 400 MW thermal energy. Posted on Thursday, March 3rd, 2011 at 11:34. Filed under: Locations, Southwest Iceland	RSS 2.0 feed.